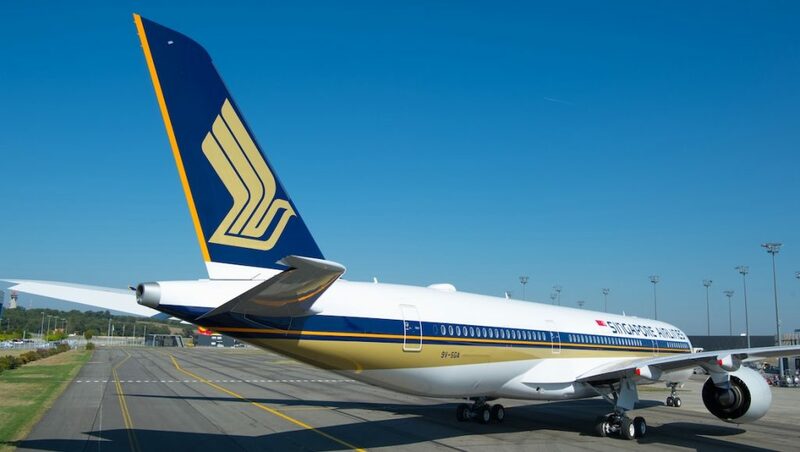 Singapore Airlines (SIA) has moved a step closer to reclaiming the title of the world’s longest nonstop passenger flight with the delivery of its first Airbus A350-900ULR (Ultra Long Haul) aircraft. The next-generation widebody, 9V-SGA, took off from Airbus’s Toulouse headquarters a little after 1800 on Saturday, September 22 2018 (local time) and arrived at Singapore Changi Airport about 16 and a half hours later at about 1630 the following day, figures from flight tracking website FlightAware showed. 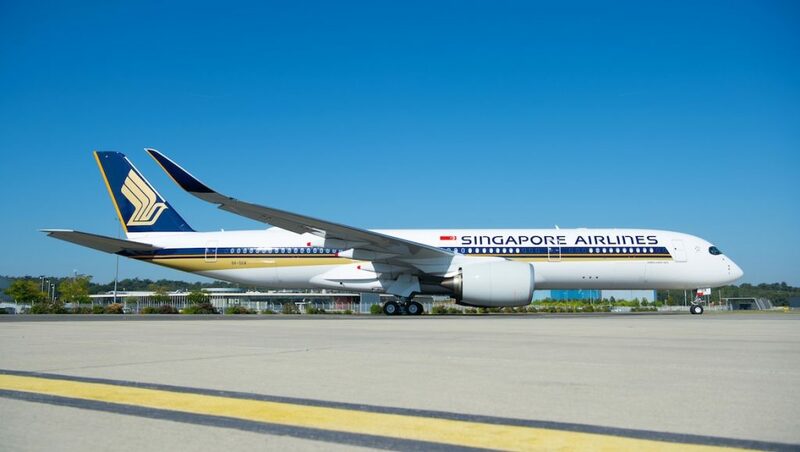 SIA has ordered seven A350-900ULRs, which will be used to resume Singapore-New York (Newark) and Singapore-Los Angeles nonstop flights from October 11 and November 2, respectively. 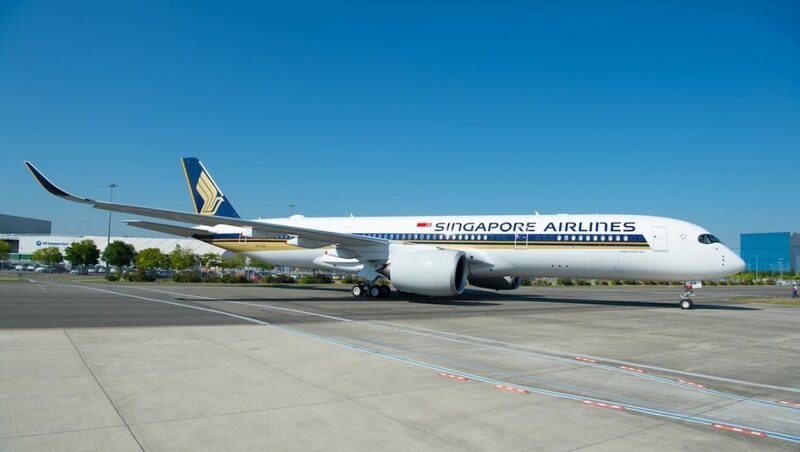 The aircraft will also be used to operate some Singapore-San Francisco nonstop flights. 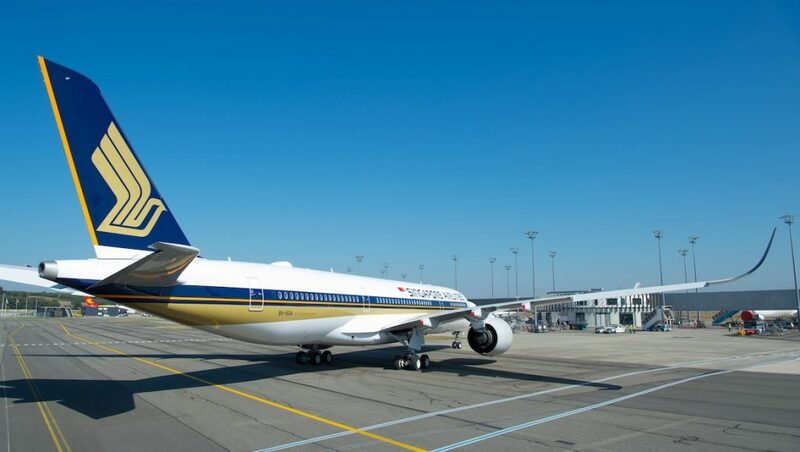 It is the only airline customer for the type, which can carry 24,000 litres more fuel than the standard A350-900 (165,000 litres versus 141,000 litres) thanks to modifications to the layout of the piping and valves in the central fuel tank. Also, the A350-900 Airport Planning Guide published on the Airbus website showed the forward cargo compartment would be deactivated on the ULR variant. “This is a proud moment for both Singapore Airlines and Airbus, not only because we have again strengthened our partnership, but also because we have pushed the limits with this highly advanced new aircraft to extend long-range flying to new lengths,” SIA chief executive Goh Choon Phong said in a statement. 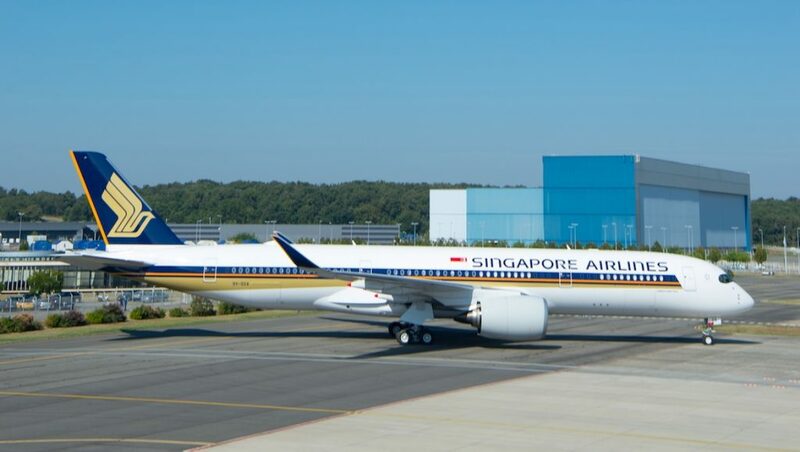 The 8,285nm Singapore-New York (Newark) route was suspended in 2013 when when high fuel prices made it uneconomical with Airbus A340-500s. Airbus has said previously the modifications on the A350-900ULR would be available on future deliveries of the A350-900, such as the higher maximum takeoff weight and new wing twist and larger winglets. It has also publicly canvassed the prospect of an ultra long haul variant of the A350-1000. SIA is one of the world’s largest A350 customers, with a total of 67 on order. Following the arrival of 9V-SGA in Singapore, the Virgin Australia shareholder and alliance partner has 21 A350-900s in a three-class configuration comprising business, premium economy and economy cabins, one A350-900ULR and 45 more of the type on order. Some A350-900s will be configured in a two-class, medium-haul layout comprising business and economy. 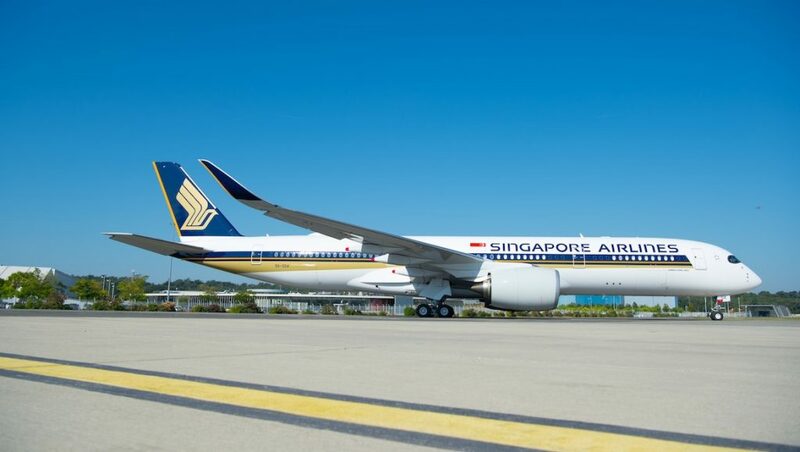 The first of these medium-haul A350-900s will be used on the Adelaide-Singapore route from December, SIA announced in early September. The A350 platform is also a contender for Qantas’s Project Sunrise challenge to Airbus and Boeing for an aircraft capable of operating nonstop from Australia’s east coast to London and New York carrying 300 passengers across four cabin classes. Boeing has put forward its in-development 777-X as its candidate to meet Project Sunrise. Qantas chief executive Alan Joyce said in August he expected to issue a request for proposal (RFP) in 2019. “If the business case works, if the regulations can be changed and if the pilot agreement is reached we will see these aircraft a arriving by 2022 and into operations,” Joyce said. Airbus chief executive Tom Enders said the delivery of the first aircraft would open a new chapter in non-stop air travel. 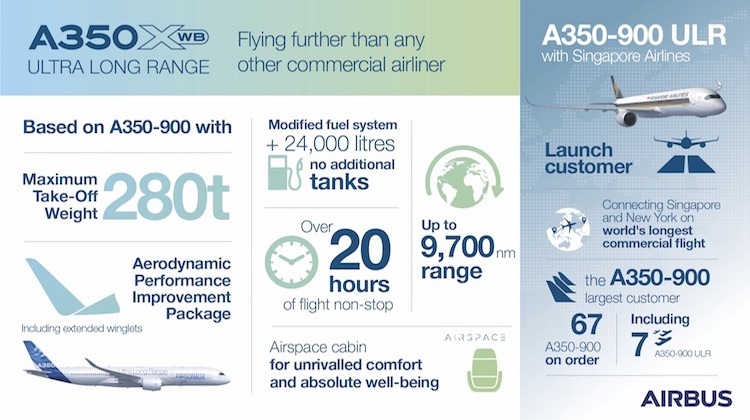 “With its unrivalled range and step-change in fuel efficiency, the A350 is uniquely placed to meet demand for new ultra-long haul services,” Enders said. It’s interesting to note that, according to flightradar24, the delivery flight was done via North Pole, instead of the most common Middle East and South Asia/India Subcontinent. Obviously this longer route was deliberately chosen to showcase the long range capability of ULR type. It’s going to be interesting to see how airbus configure at A350-900ULH to meet Project Sunrise requirements. Range listed at 9700 nm with a premium seating so 167 odd people. So what will the range be with 300 people and their luggage and will the forward cargo be available as its closed off in SIA’s config? I assume this a W&B isssue. It will be fascinating to see the specs of the competing designs when they are finalised. Craigy, I doubt the 900ULR will be put forward for Sunrise. Airbus has been talking about a longer range version of the 1000 for some time now, and it would make sense given Qantas seating requirements. @Trogodor I agree, I thought the 1000 would be the aircraft put forward for Project Sunrise the moment Airbus mentioned in passing that they were looking at ULH options for the aircraft. But Airbus continue to suggest their proposal will be around the 900, which could be a ruse of course to keep Boeing guessing.